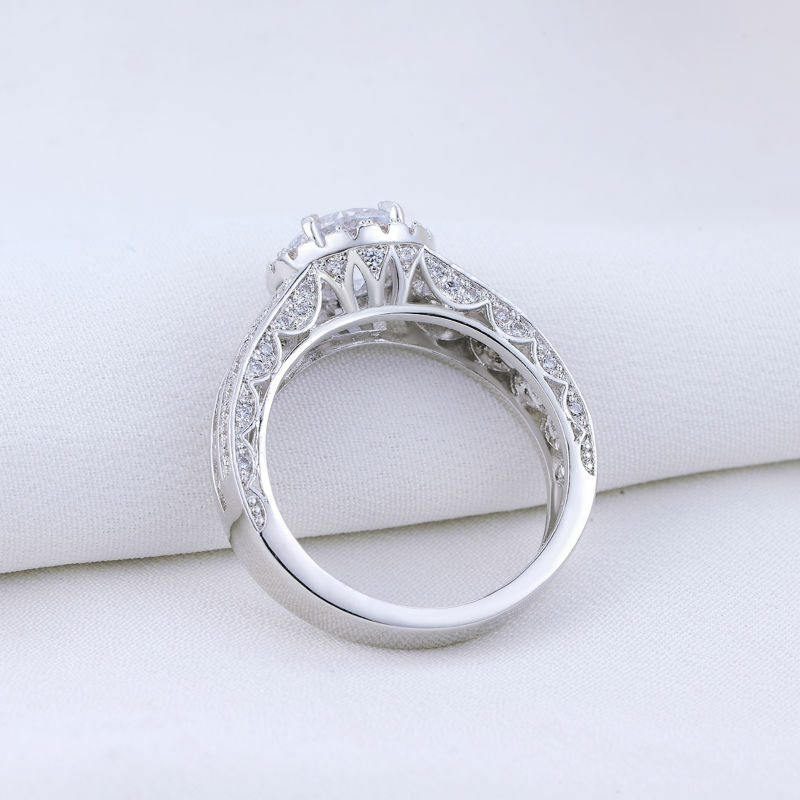 Women's beautiful petite AAA grade cubic zirconia wedding ring.Crafted from 925 Sterling Silver with white Gold plated. 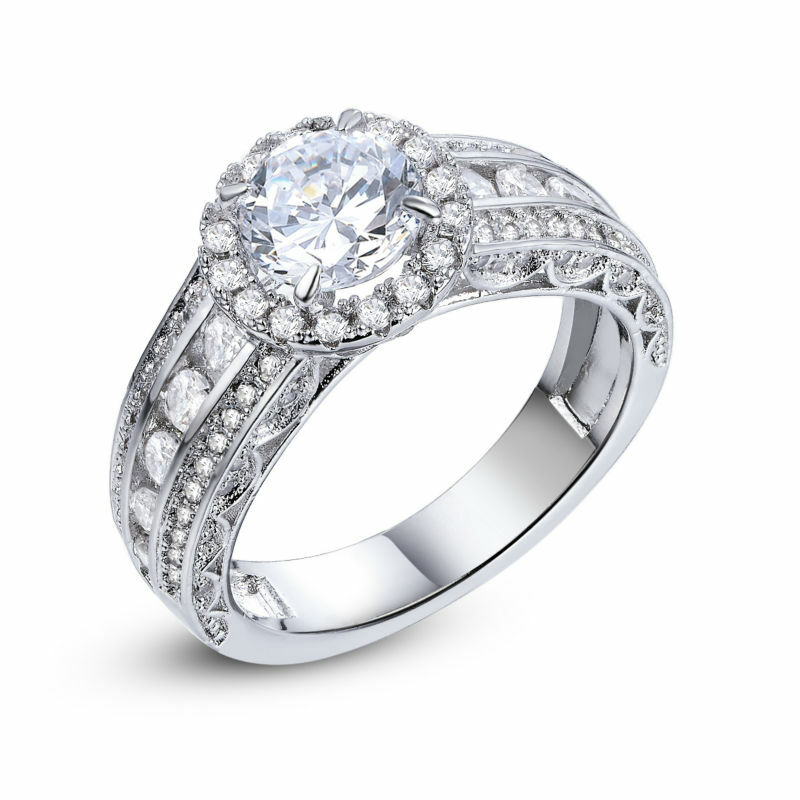 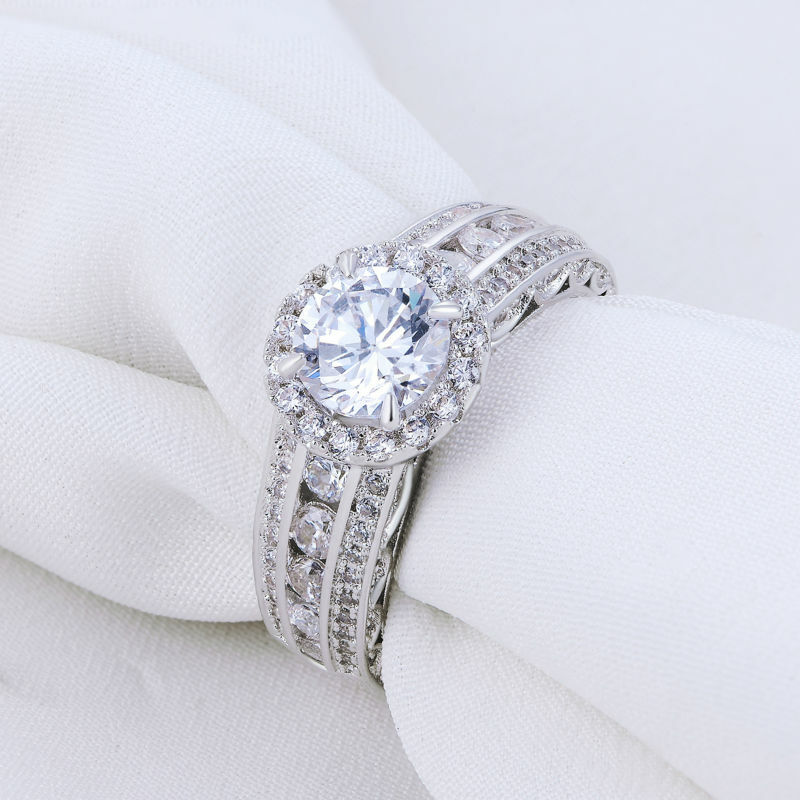 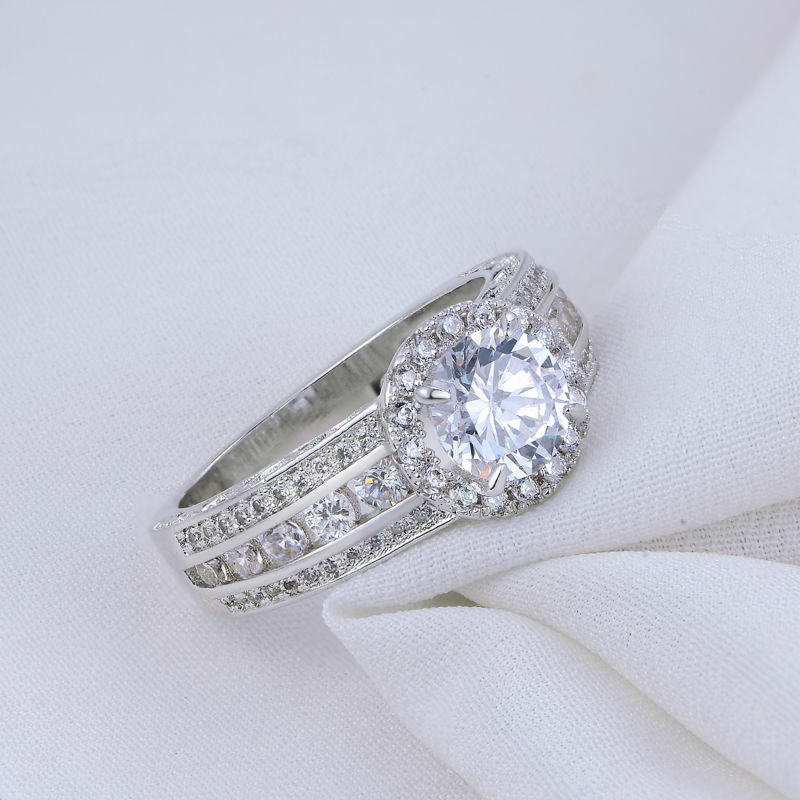 The ring features with a 7mm round princess cut center stone surrounded by 20 smaller round White stones. 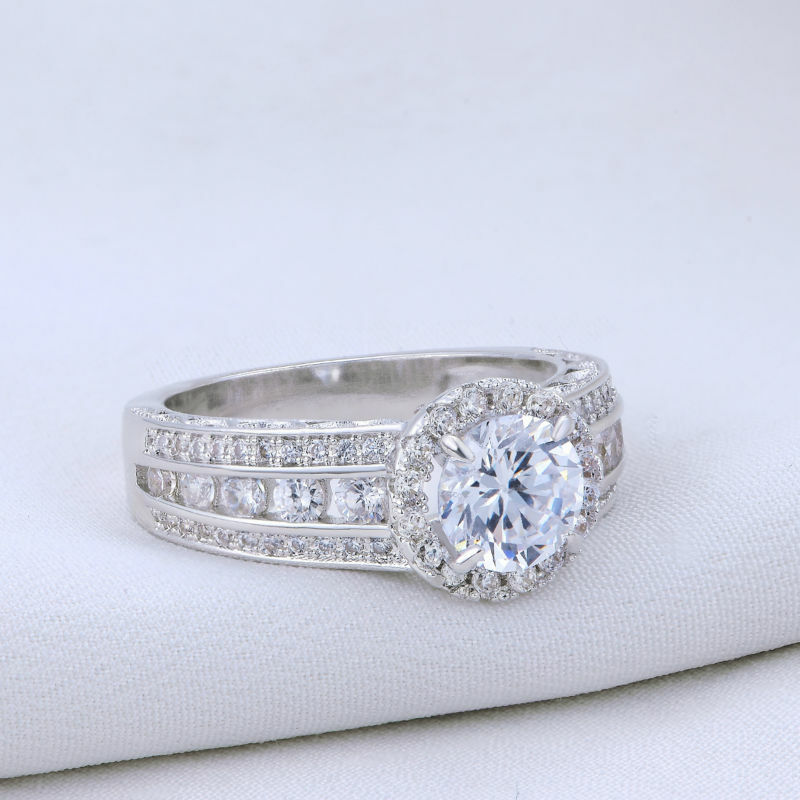 and 90 small stones down the two sides.